You are the One who made us all – who made us whole. with others, and with the world around us? You are the One who made us – wonderfully and in mystery. so why do we settle for something less than awe for ourselves and others? that we may share life and breath with all creation. in the birth of Spirit’s new life. 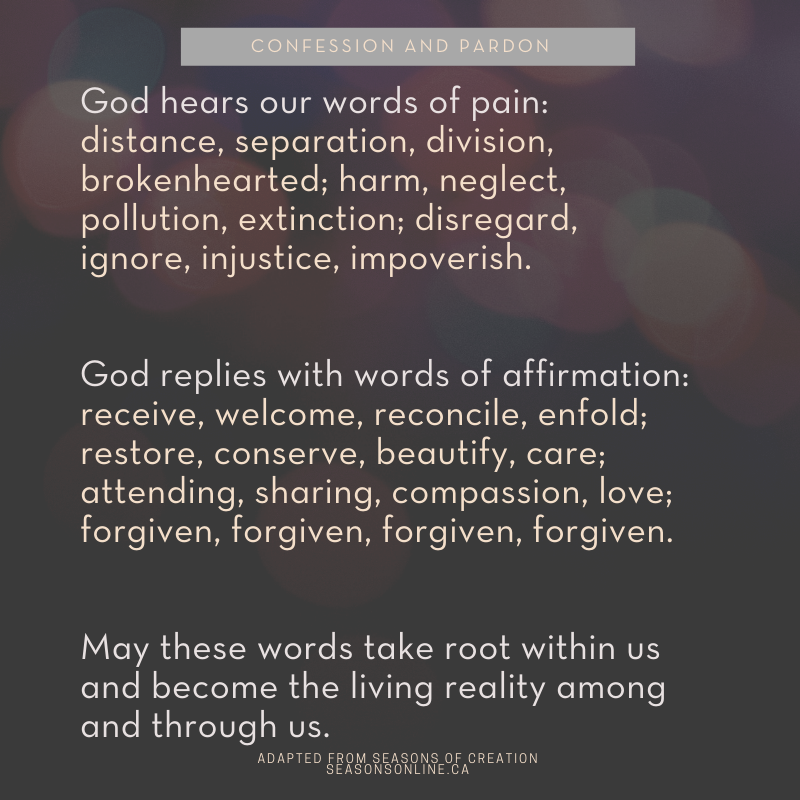 Throughout Lent, we are exploring different forms of “confession” in our worship times. This week’s confession was adapted from Seasons of Creation - a project that seeks to explore creativity in Christian liturgy.